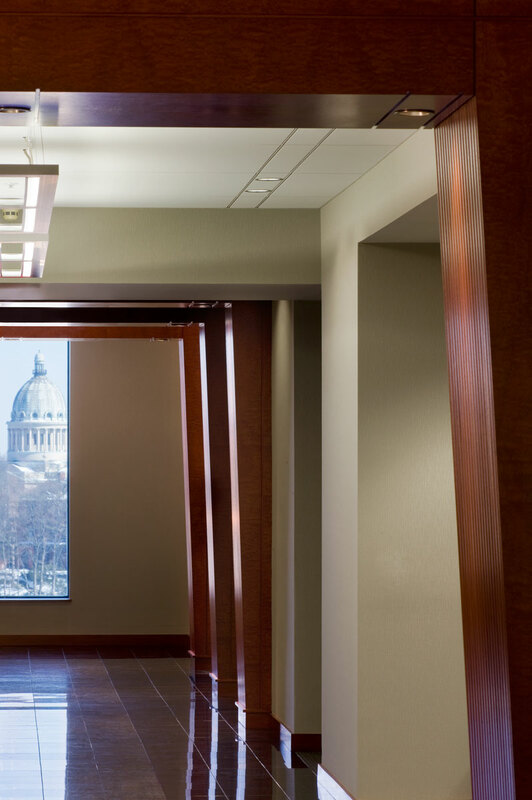 When a growing law firm relocated to One Financial Plaza in the heart of the Financial District in Providence, they commissioned Vision 3 Architects to design a space that would match their identity as a cutting edge firm. 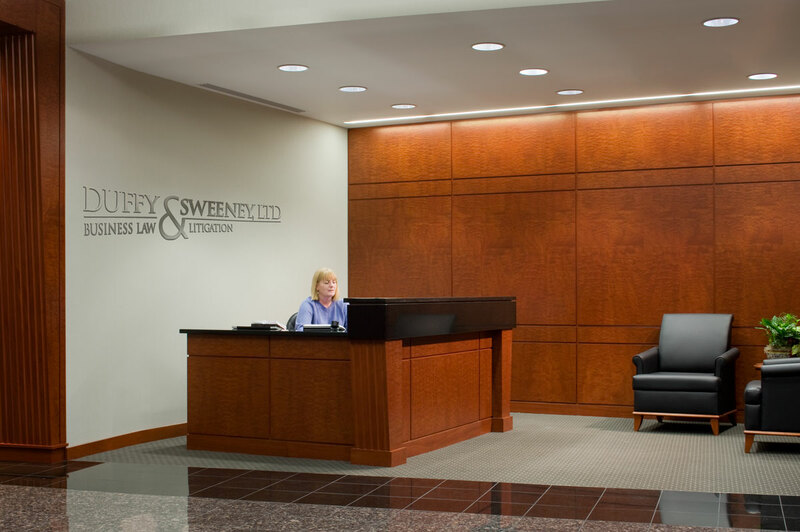 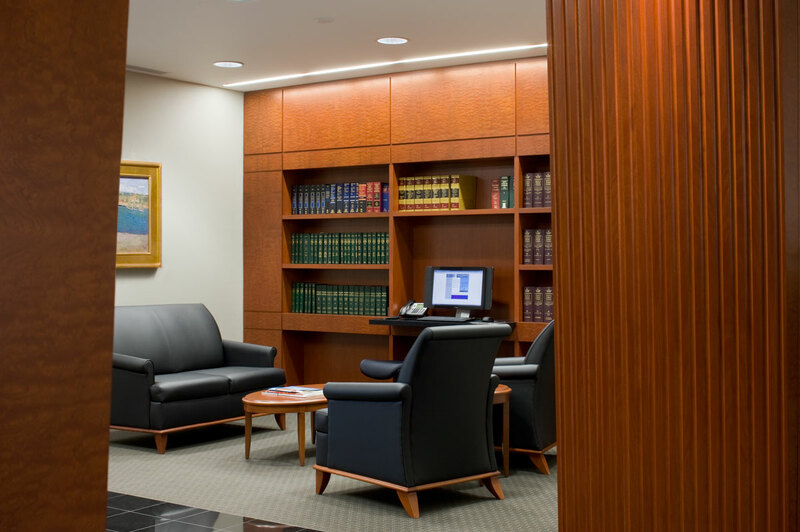 To create an experience that subtly demonstrates their commitment to service and quality work, traditional courtroom details having clean, contemporary lines are repeated throughout the office. 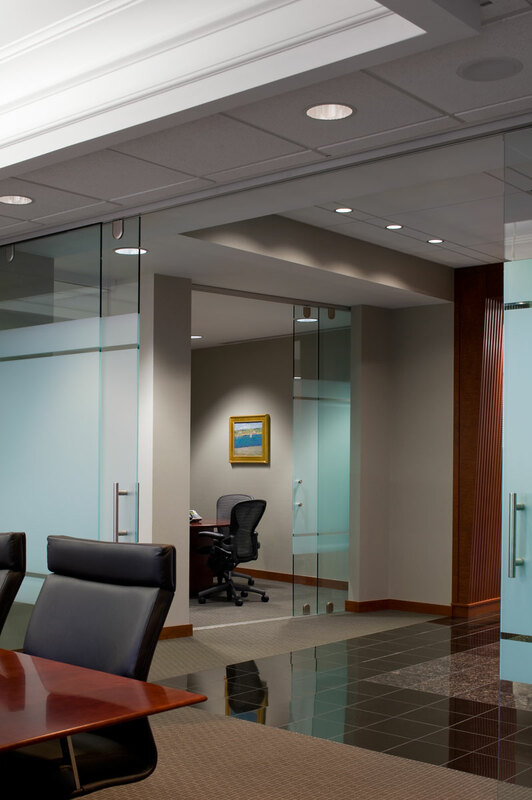 Artificial lighting is creatively paired with connecting views to the outdoors to increase the feeling of natural day lighting in the office. 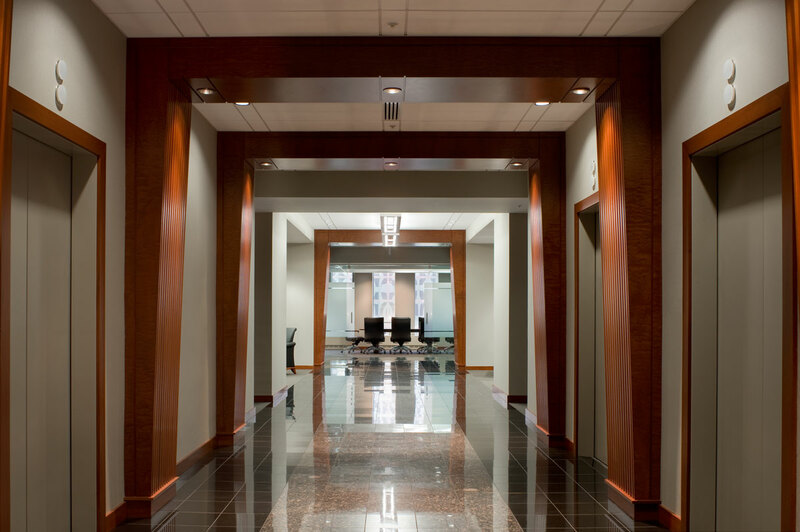 The resulting design introduces visitors to the professionalism and quality of the firm immediately upon entering the space. “I enjoyed the professionalism of those I worked with at Vision 3. 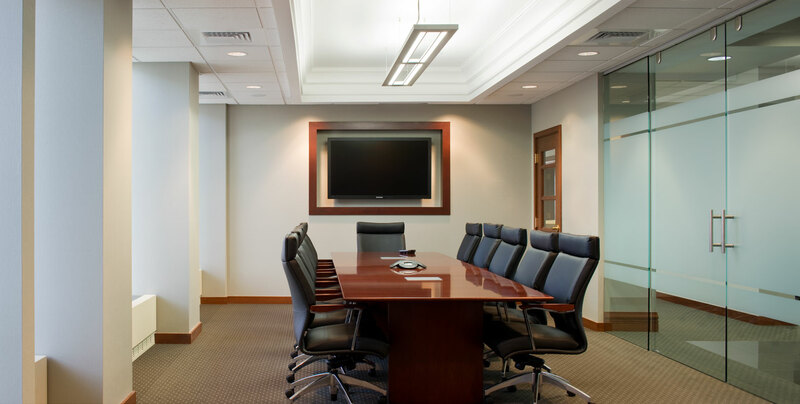 Both their design approach and their ability were superlative in terms of our needs.